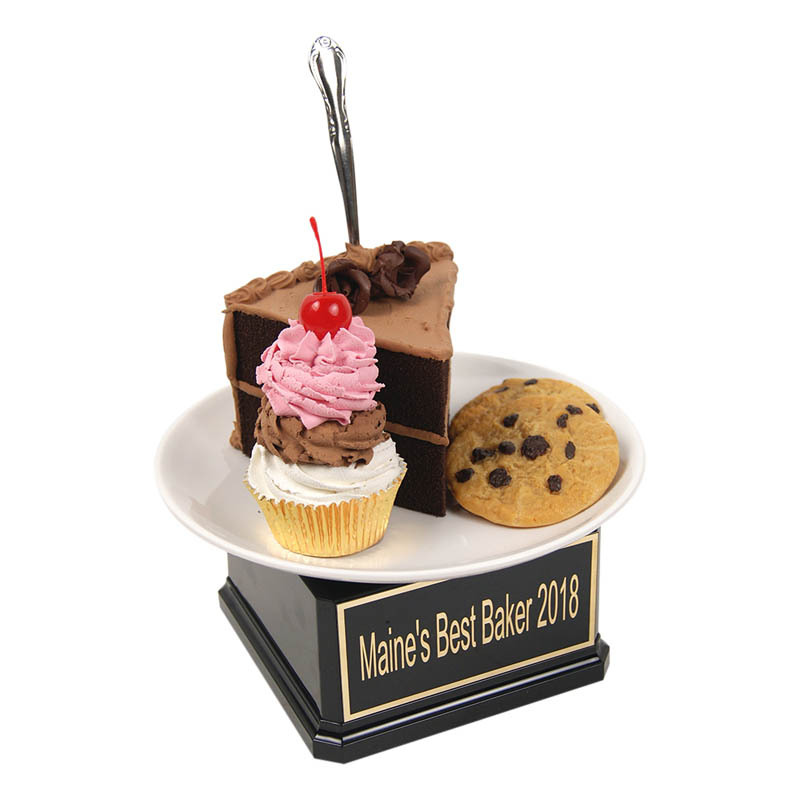 Custom food trophies and drink awards are our specialty! 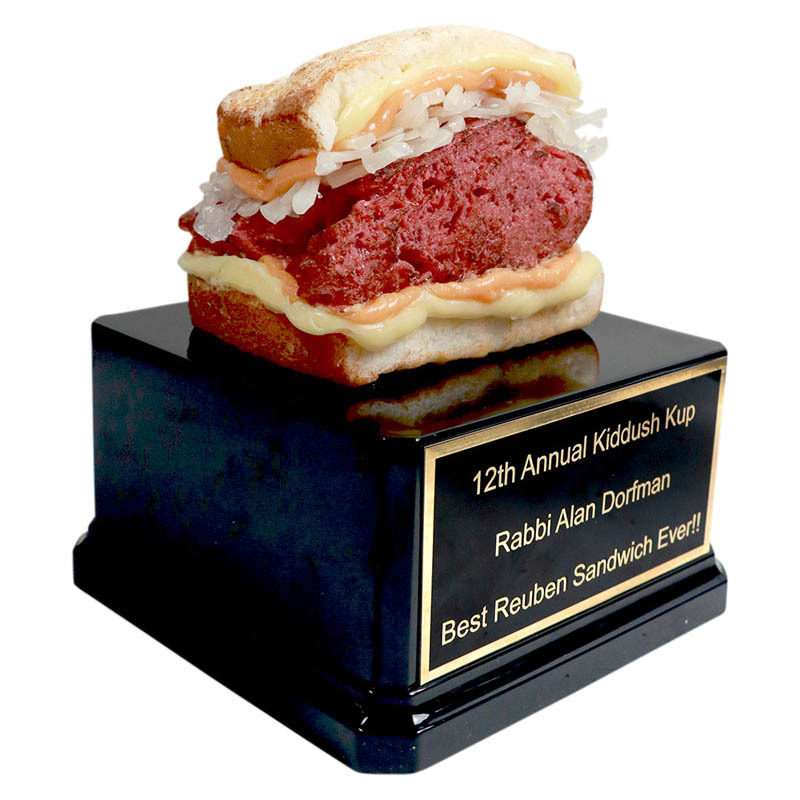 We can literally turn any drink or food item into a trophy. We have hundreds of food items – even if you don’t see what you are looking for, we still probably have it or can custom make it! 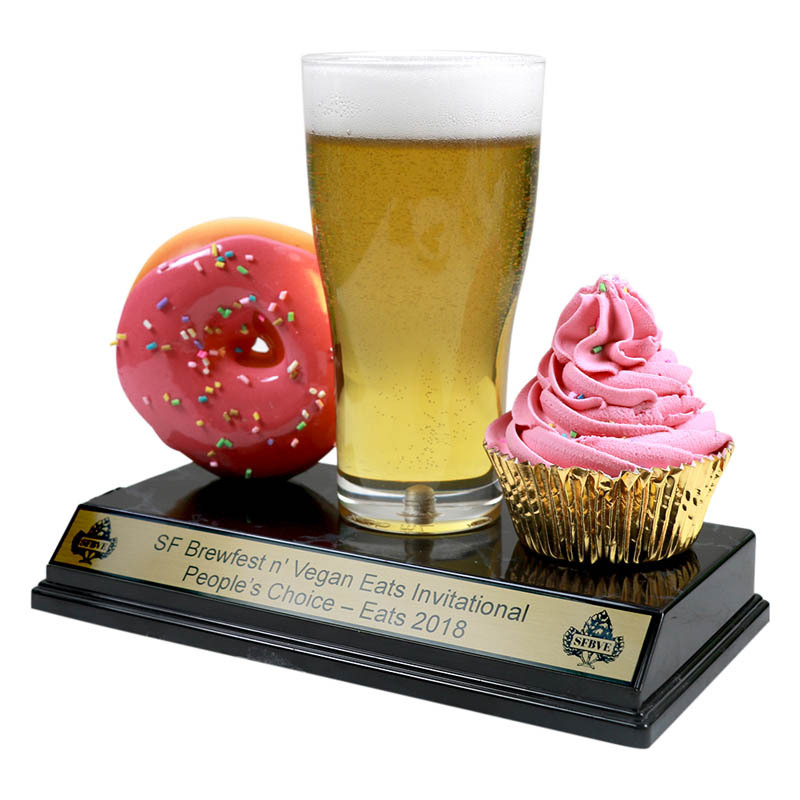 If you are hosting an eating contest, bake-off, Beer Olympics, drinking contest, or any type of cooking or culinary event we have the perfect trophies for you! If you want a bigger base, different color columns, or want to make something super huge and tall – no problem! 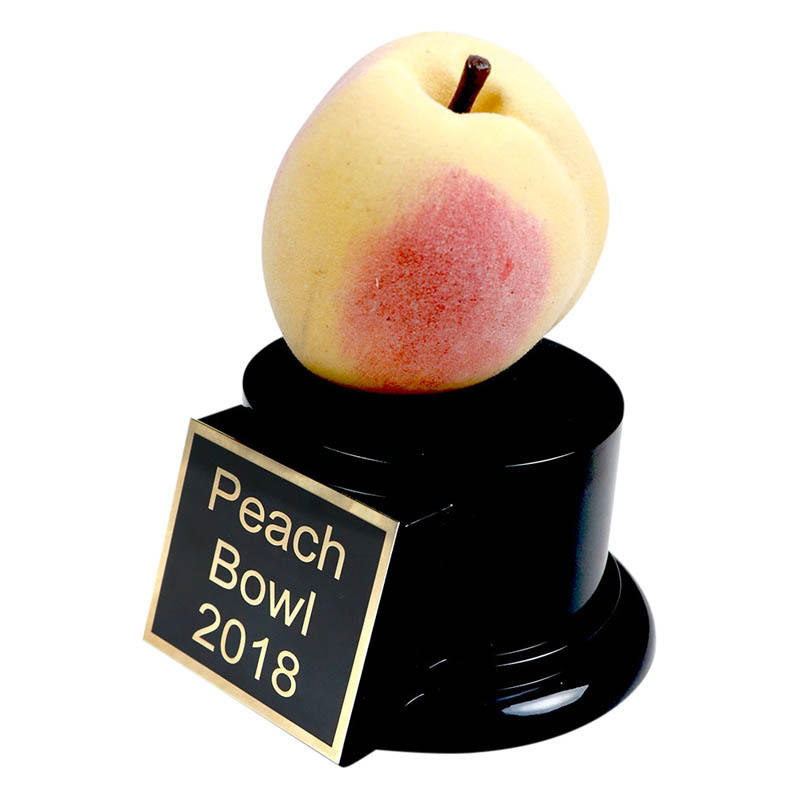 We can mix any food and drink item together and we can even insert random items, such as golf balls, action figures, or anything else you can think of into any trophy! 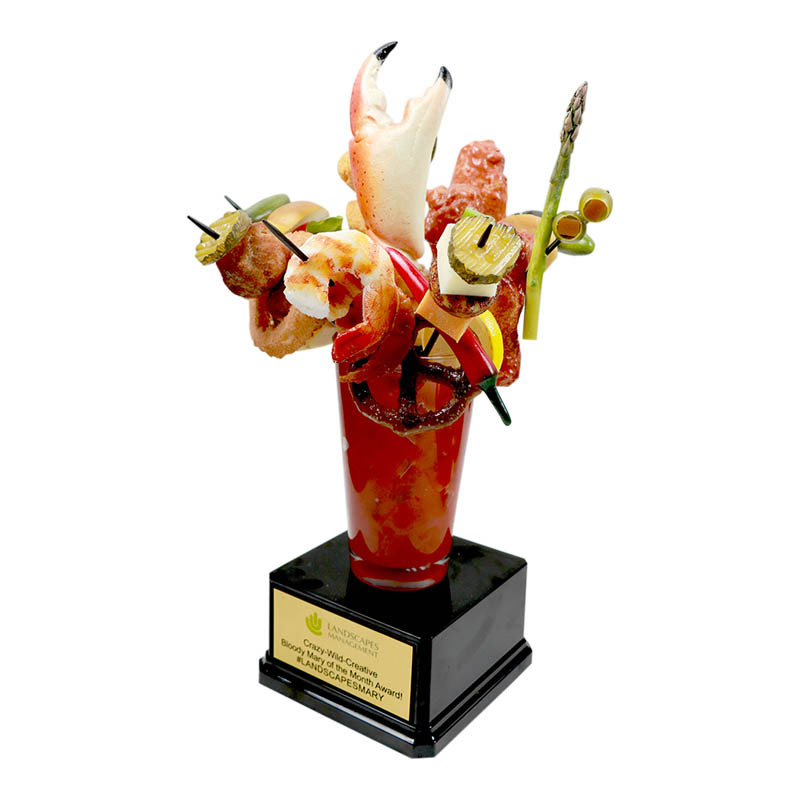 Almost all of our food and drink trophies are life-size and super realistic. 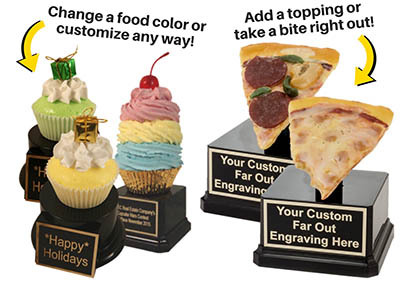 If you want a different color frosting on your cupcake trophy or more toppings on your pizza award – we can do it! 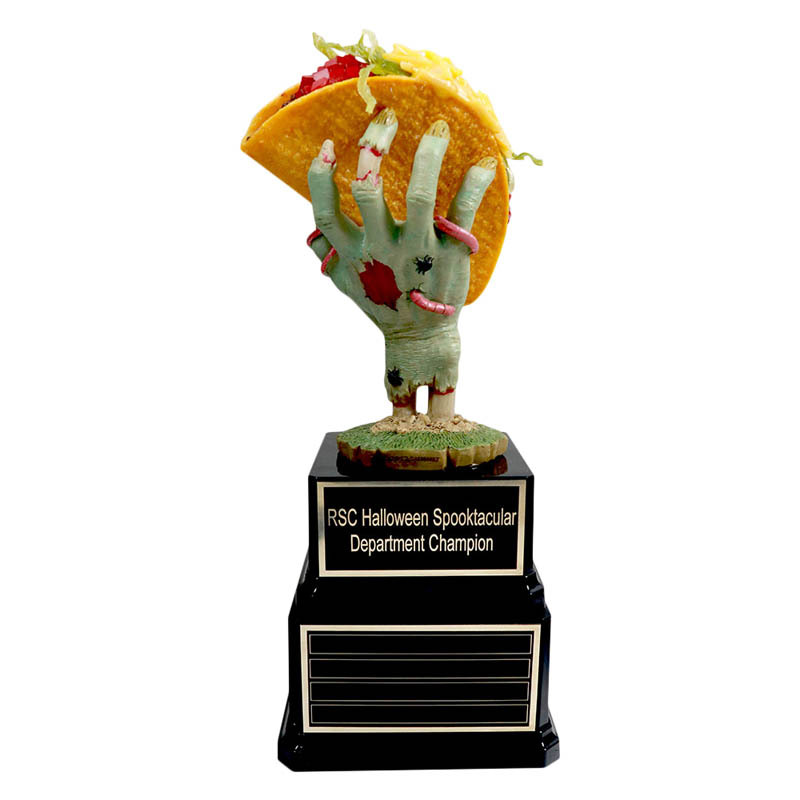 You can custom modify almost every trophy to create the perfect award for any event! 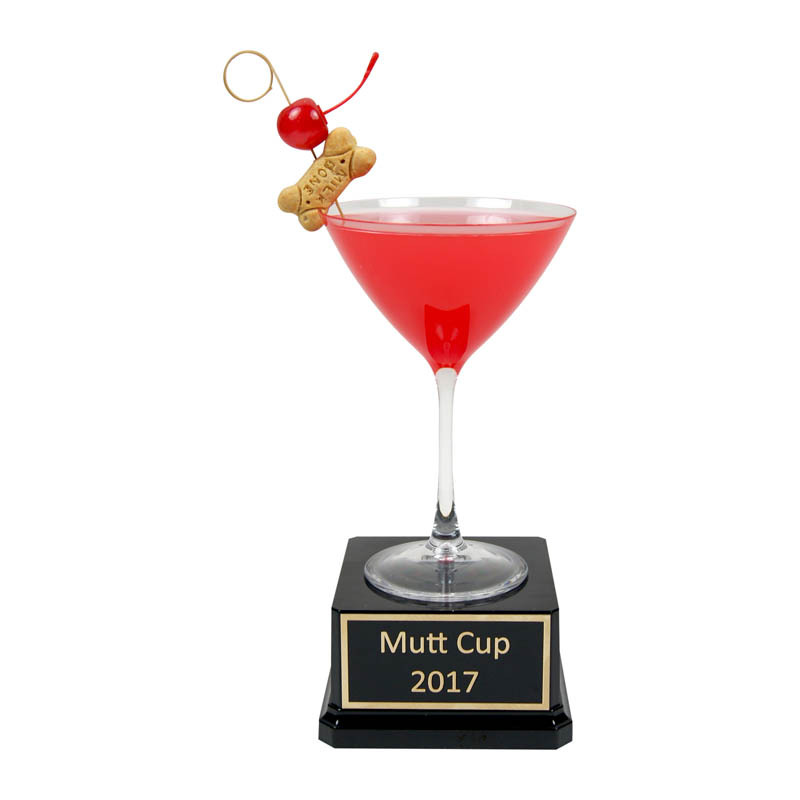 If you are having a corporate recognition event and are looking for that perfect trophy – we can use your packaging to make the best trophy ever! We can use your cup to make any type of milkshake, soda, or beer! 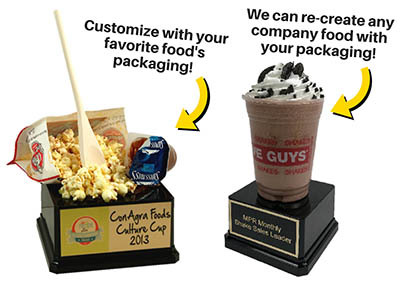 We can even re-create your famous treat and create any custom food trophy with your branding. 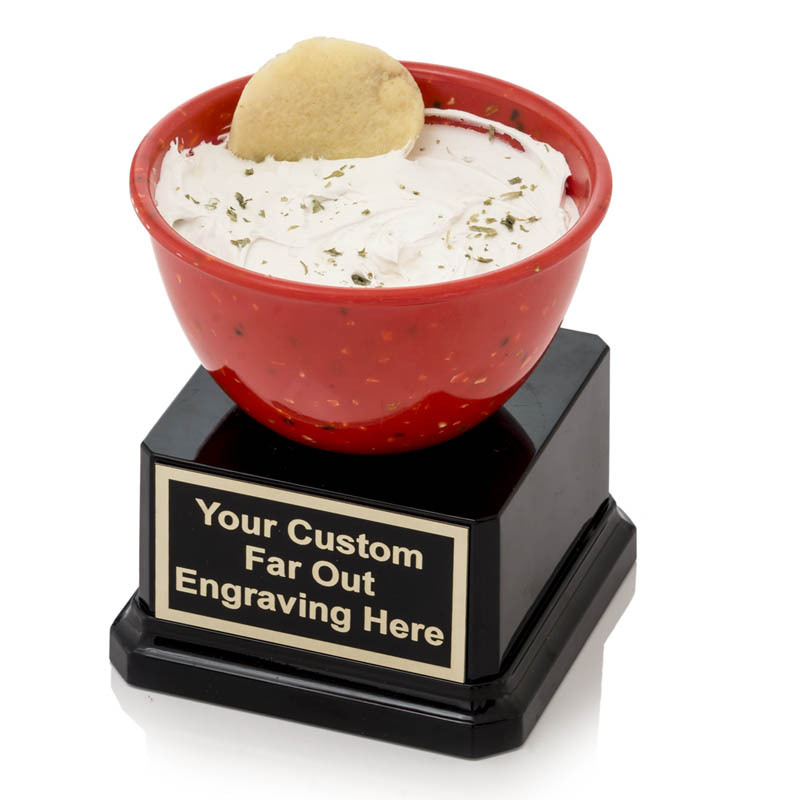 Want to customize your drink trophy even more? 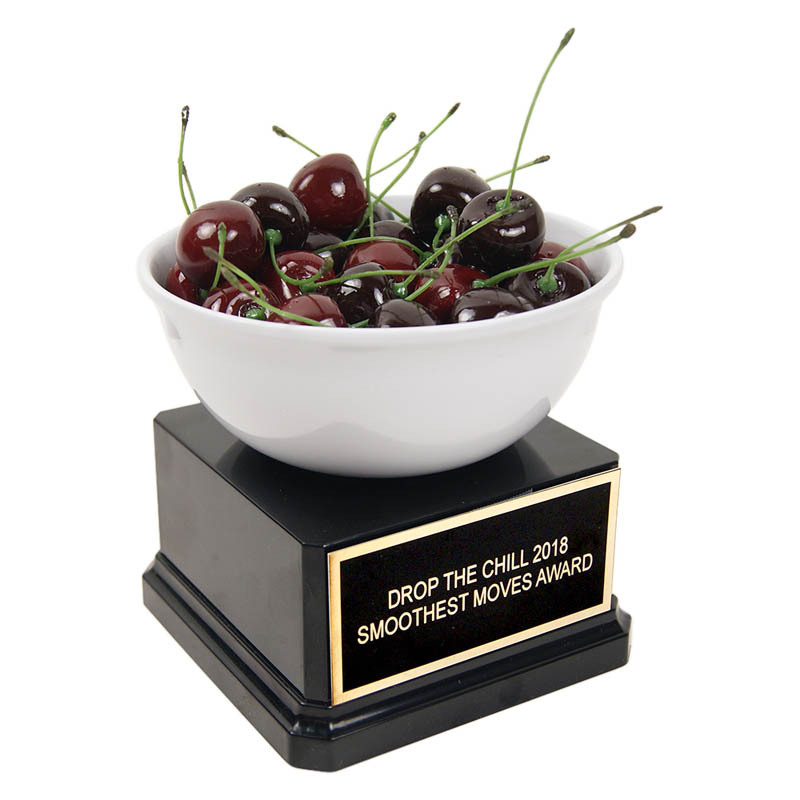 Just ask us about adding nearly any item inside or on top of any trophy! Have a custom golf ball with your logo – put it any trophy to make the perfect golf tournament trophy. You can send us your own items or just tell us what you want and we will find it! 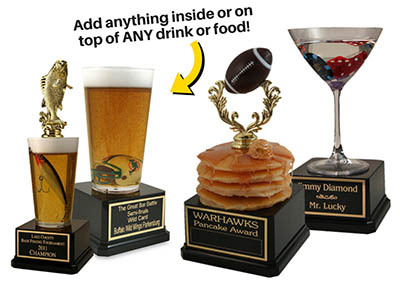 Found the perfect trophy for your event, but want a different base or want to make it taller – no problem! 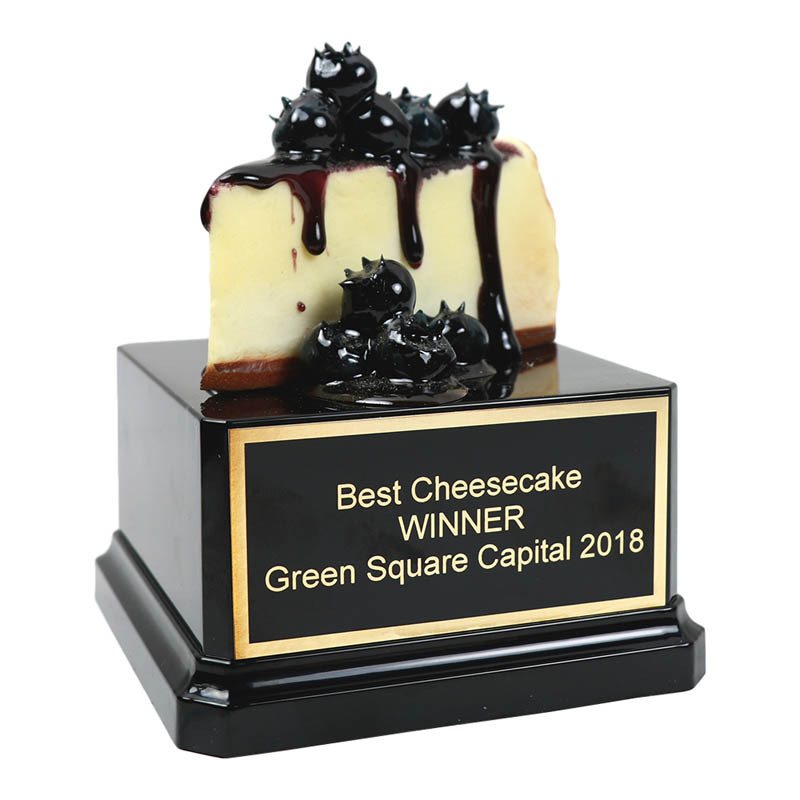 You can easily customize any trophy base or column to change the base materials, height, and color. 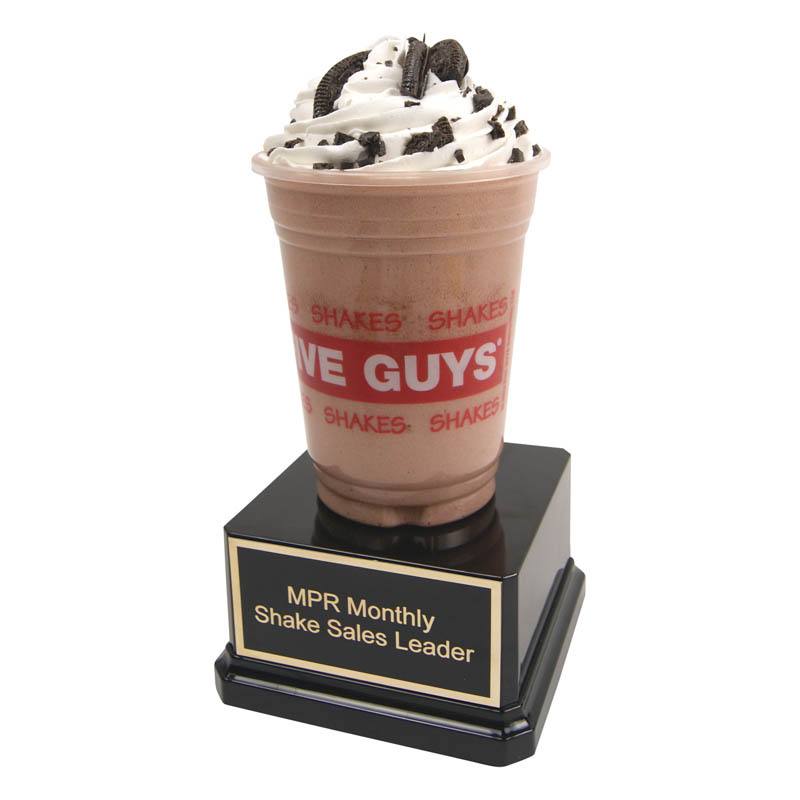 You can ask for something as simple as switching to a marble base or as Far Out as customizing a 6-foot trophy! 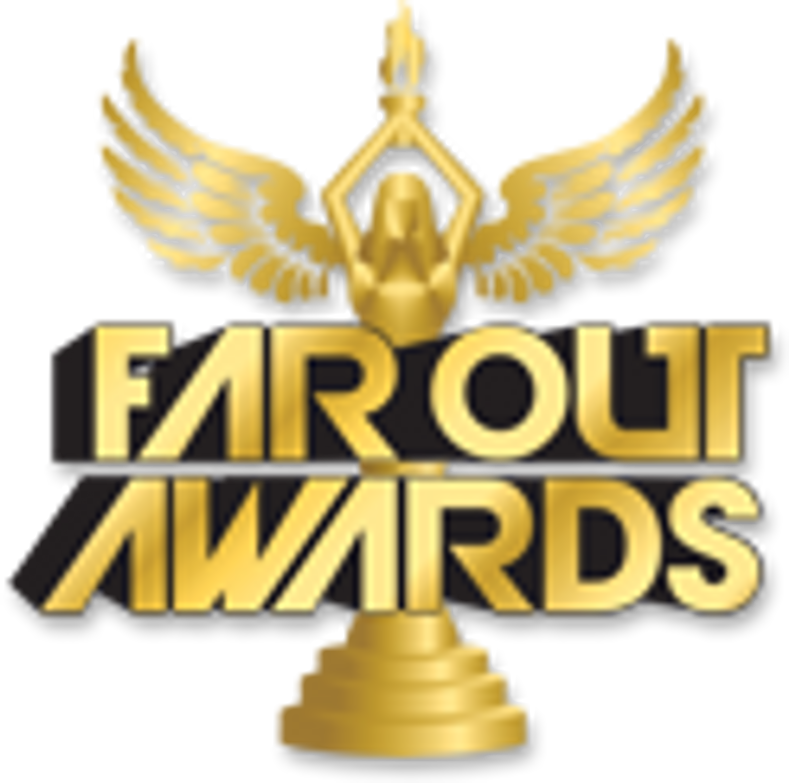 At Far Out Awards, anything is possible! 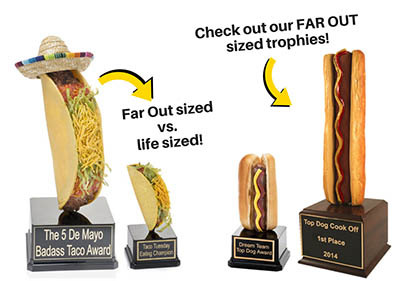 That is why we have a whole line of “Far Out Sized” food and drink trophies, which are super-sized and larger than life! Maybe a life-sized hot dog isn’t even for you and you want a hot dog almost 2 feet tall – or maybe you need a hamburger that’s bigger than your head! 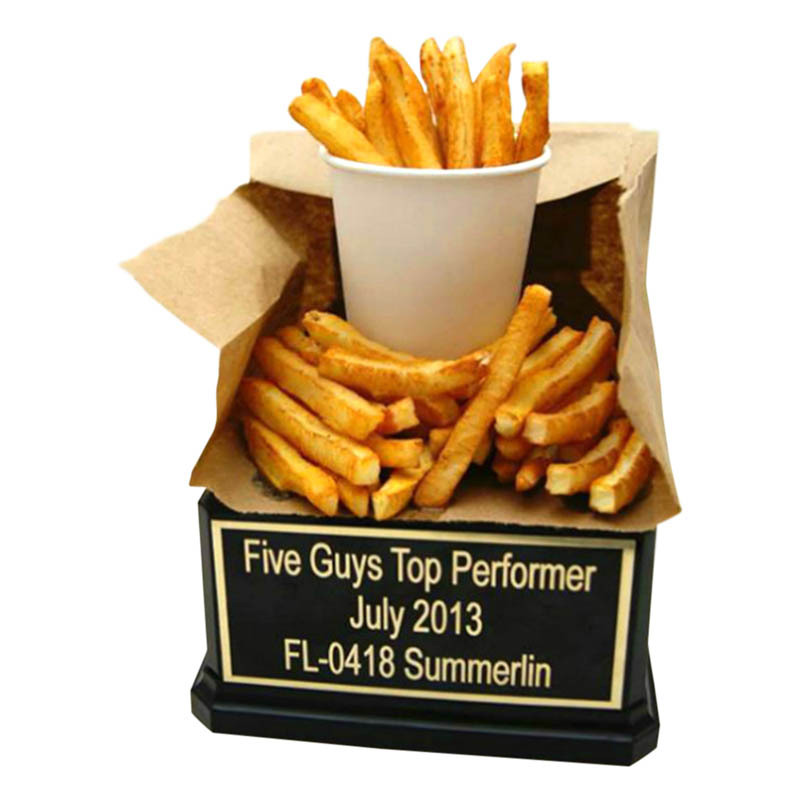 We can super-size almost every trophy… we’ve even used a full-sized grill on a trophy!